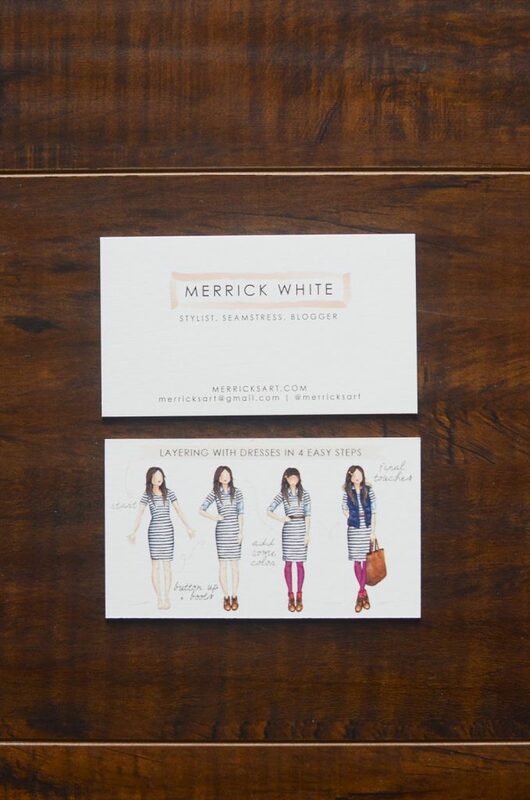 If you read anything about Alt Summit, you know there are two things that are a huge deal — business cards and fashion. I started planning my cards a few months ago, and since I’d asked for a wacom tablet for Christmas, I knew I wanted to try my hand at illustrating the back of my cards. My first idea was to do an illustration about pattern mixing, but when I mentioned it to my sister, Janssen, she suggested I go with something a little more unique and unexpected, like my post about how to layer with dresses. Brilliant. Once my illustration was done, I teamed up with Minted to create the final card. I looked through their selection of card fronts and chose this simple watercolor card, which was super complimentary, but allowed the back to be real focal point. I also ordered them on the triple thick paper which I ended up absolutely loving (it shocked me a bit at first since I didn’t expect them to be quite as thick as they were, but soon grew to love them, especially once I started handing them out and saw the weight of everyone else’s cards — I loved how substantial and legit it made them feel!). The other thing besides business cards that I brought to Alt was my media kits. I heard from a few people that media kits were discouraged, and that companies would only want to see your business cards, but after talking to a few other people I decided it was worth it to bring them anyway. When companies are receiving over 600 business cards in a weekend, I think it’s nice to have something extra to make you stand apart and give companies a bit more information about you and your blog that the few pieces of info you put on your card. 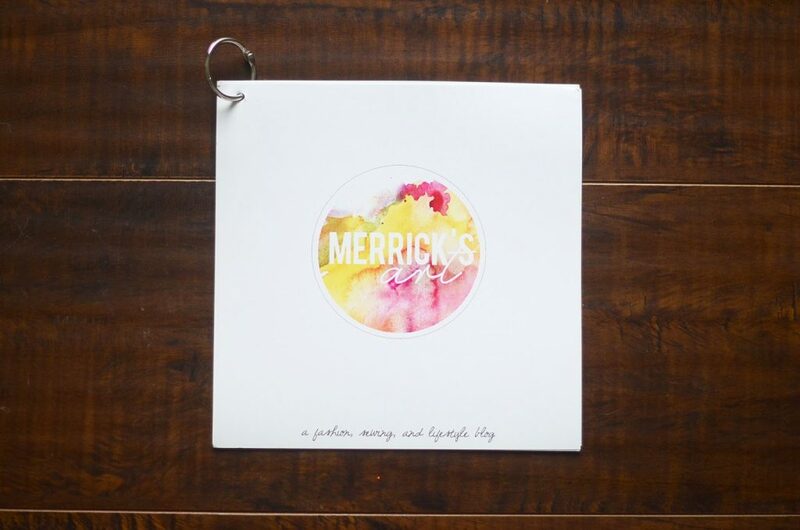 My media kits were 7″x7″ and were four pages — a cover page, an about page, a statistics page, and a page that covered my advertising options, pricing, and contact info. I got them printed at a local print shop on a thick glossy card stock, and they cut them and punched the holes in them all for under $100. I brought 30 media kits with me, and ended up giving about half of them out (I gave everyone my card, but only media kits to those companies I really wanted to work with), but I saw a very positive response and the companies immediately opened them up and started browsing through them. Now that I’ve handed them out and talked to companies about them, I’ve realized that my sewing projects and tutorials are a big part of my blog that is missing from them. They’re mentioned on my about page as something I do, but all of the images I included are style related. Also, I wish I’d included press features as well just to give my blog more credibility when talking to these companies. I’ll definitely be amending both of those items when I print more for future conferences! 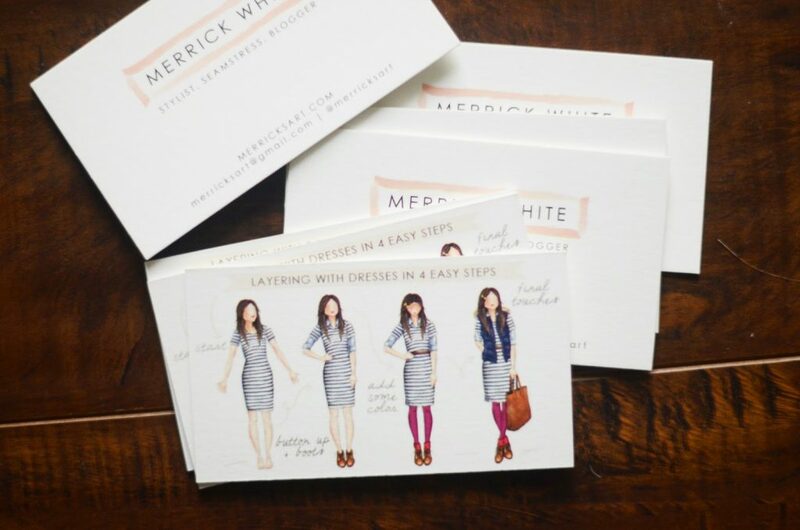 A huge thanks to Minted for my gorgeous cards! If you’re in need of business cards, greeting cards, holiday cards, or really anything, they are absolutely the best to work with. 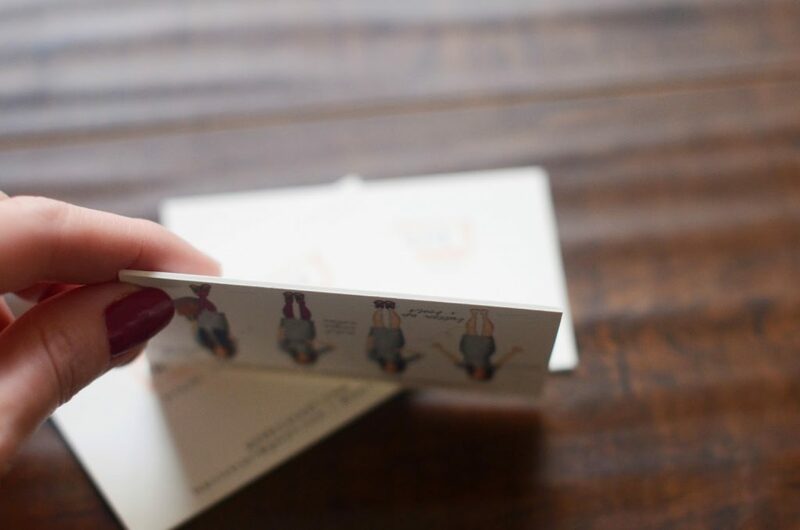 LOVE the illustration on the back of your business cards – very creative and definitely makes an impression. 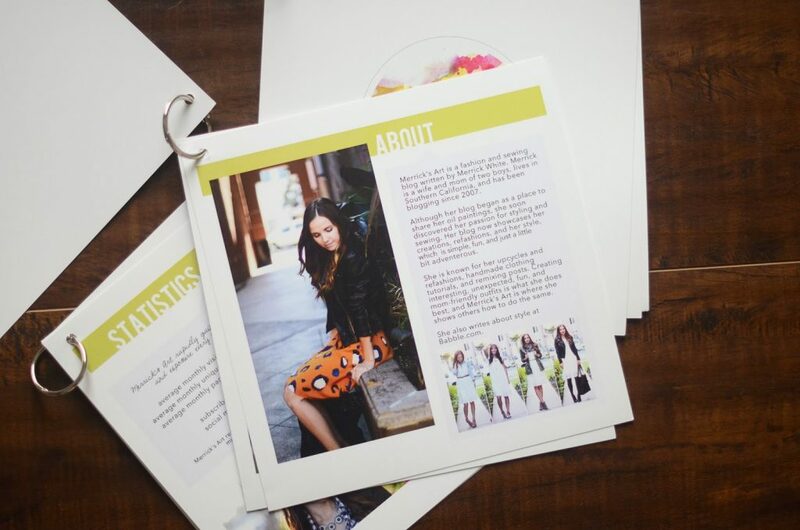 I love the 'business card scrapbook' idea – such a cute idea! Everything looks so cool and professional. Oh my goodness! This is SO cute and creative! I love this. WOW, so inspiring. I'm stilll working on all of this and hope to make it to the next Alt Summit! I love your cards! I really like the thickness, and the illustration is so cute & unique! WOW….girl…you are just too talented. VERY impressed over here! I feel like I should hire you to make my media kit for me! And your business cards are TOO CUTE. Don't even get me started on the business card notebook idea. LOVE. Your cards look so sophisticated and fun at the same time. I like that you touched on the things you would've changed in your media kit too. I'm wondering if you'd consider yourself a natural networker, or whether it's something you've had to "learn". Do you have any tips for successful networking? Your cards & kit are impeccable. I think you should teach a add at the next conference on networking materials! Those cards and kits are absolutely amazing! Those are the big deal items that I think a lot of bloggers forget about! These are darling! 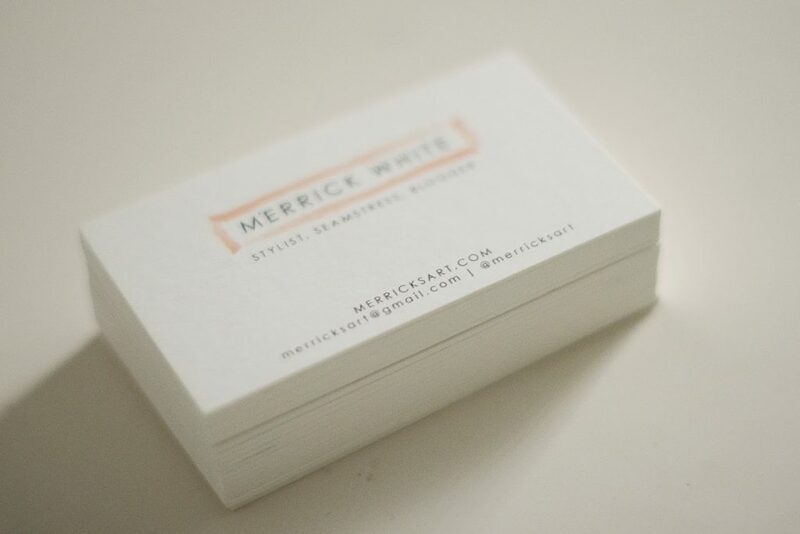 I'm in dire need of new business cards and you're inspiring me! 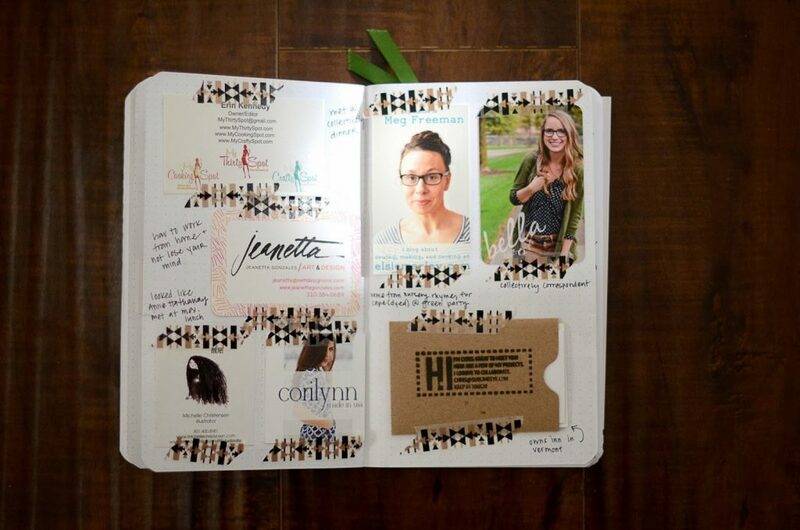 I LOVE the idea of keeping a "scrapbook" of business cards! So cute! And those media kits are genius! 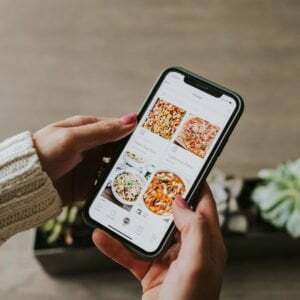 I'm bookmarking these tips for the next Alt! Wow, good for you! 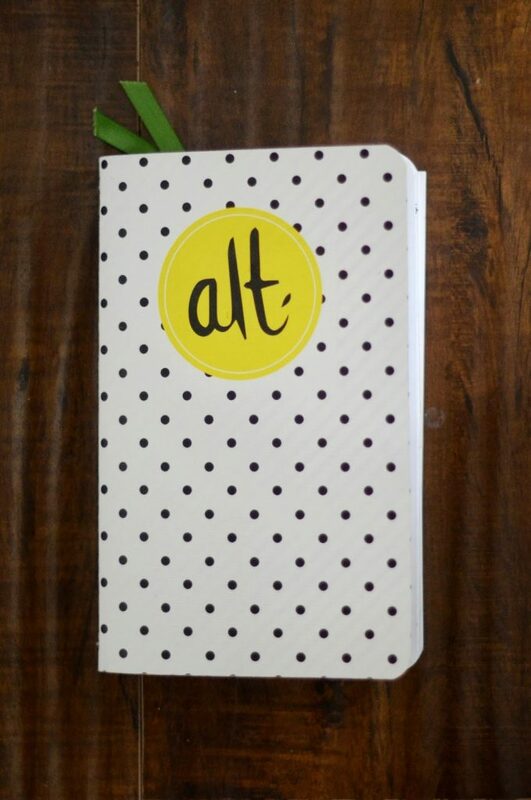 Great idea to use the notebook to keep business cards and a reminder about everyone. The washi tape adds a fun touch! What a great design an paper choice, congratulations. I love your design! I think your sister gave you a great idea! Did you paint them on paper before transforming them with your tablet or did you do everything with your tablet ? Gorgeous anyway! 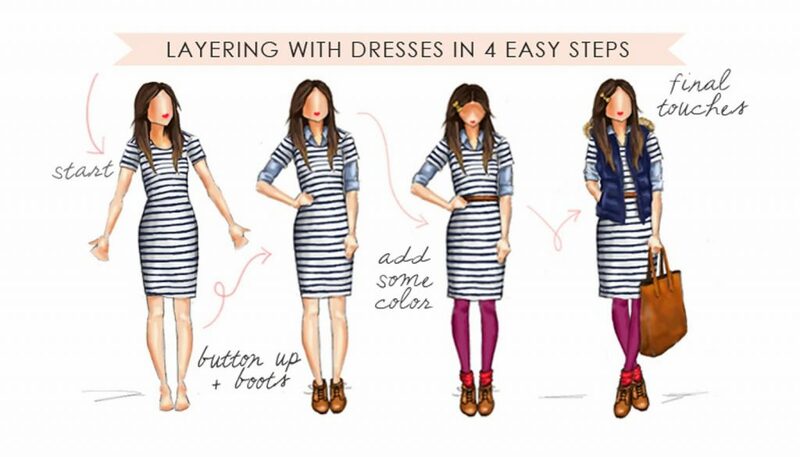 Love that you drew your styleling tips. Great business card. your business card really was my favorite! 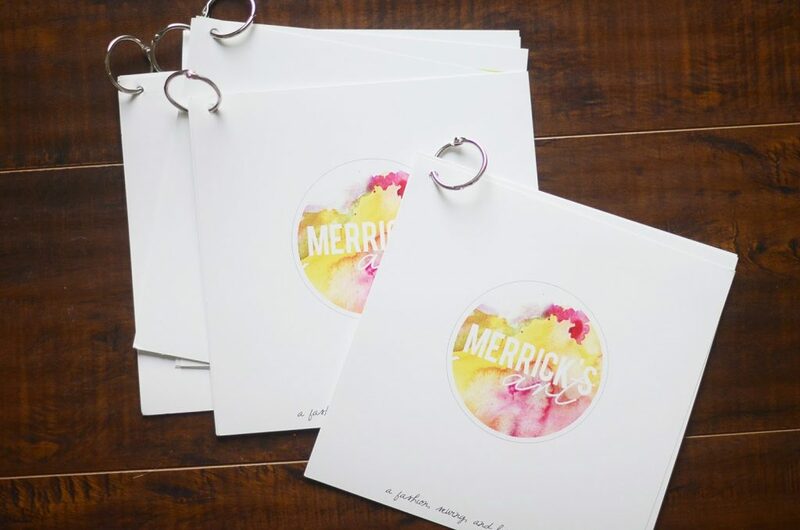 i had no idea it came from minted but i LOVED it! so super thick and beautiful! Brilliant work and cool metal business cards. Looking so cute. Thanks! !